Electronic Arts has officially released Command & Conquer: Rivals, a fast-paced RTS that promises to deliver real-time strategy and excitement to iOS and Android users. 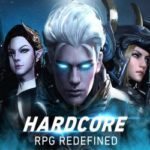 Put your skills and strategy abilities to a test in thrilling PvP battles and get ready to climb the leaderboards while leading your faction to a resounding victory! Boasting intuitive controls that allow players to focus on strategy and their competitive skills, Command & Conquer: Rivals grants players full control of each and every move. Players can choose between the Brotherhood of Nod factions and the hi-tech Global Defense Initiative. In Command & Conquer: Rivals, winning depends on planning and tactical execution. Players must plan each battle carefully, coming up with the ideal combo of aircraft, tanks, and infantry. Rivals Champions is a unique in-game weekend event in which players of different levels of skill can compete in an exclusive matchmaking pool with various ranked tiers. The rewards depend on each player’s performance. 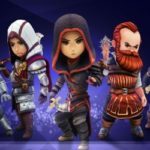 Following the model of FIFA Ultimate Team Champions, Rivals Champions is the signature competitive experience that will be part of a multi-continent ESports program sometime in 2019. 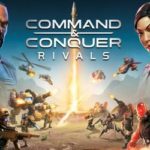 Command & Conquer: Rivals can be downloaded from Google Play and the App Store. If you want to keep up with the latest news, make sure to visit www.cncrivals.com or follow the game on Twitter, Reddit, and Discord.